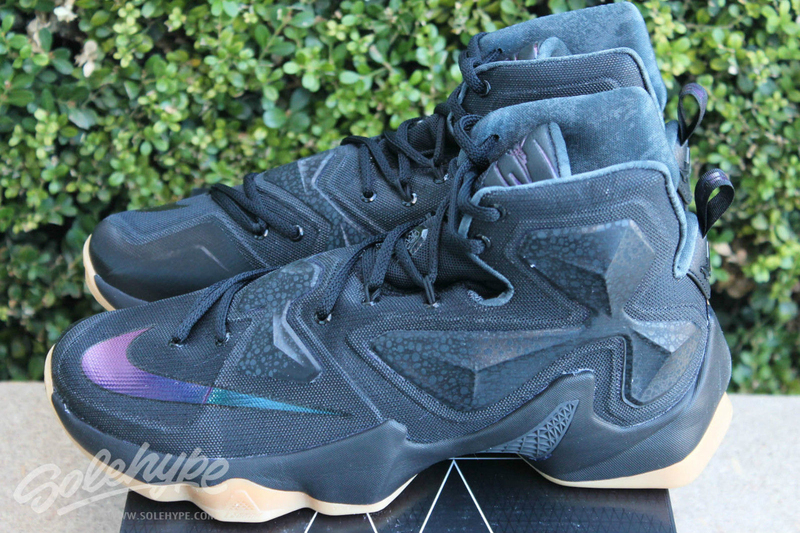 At the top of the new year, Nike will serve up this new colorway of the LeBron 13 dubbed "Black Lion." 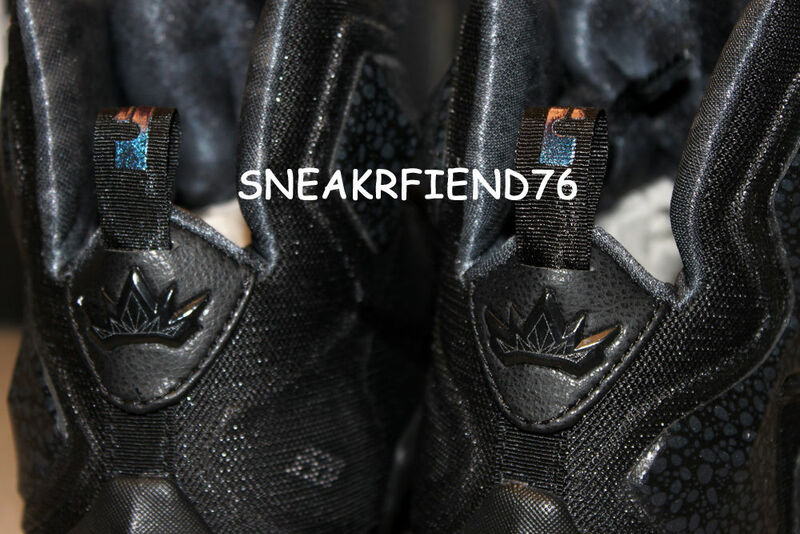 The sleek style sports a mostly black upper, the lone hits of contrast coming in the form of iridescent detailing on the tongue, pull-tabs and forefoot Swooshes. 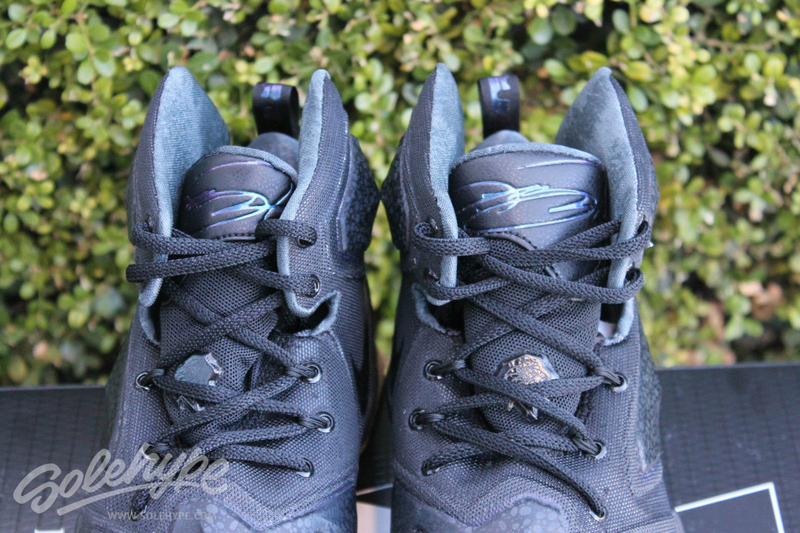 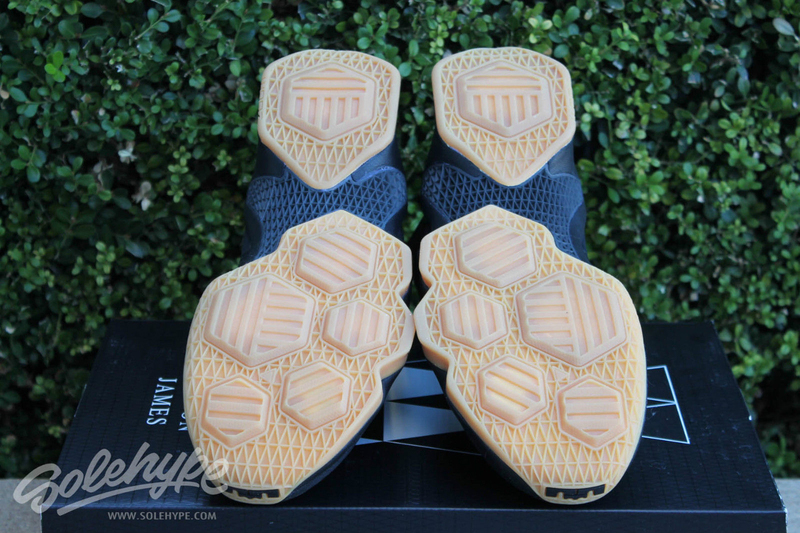 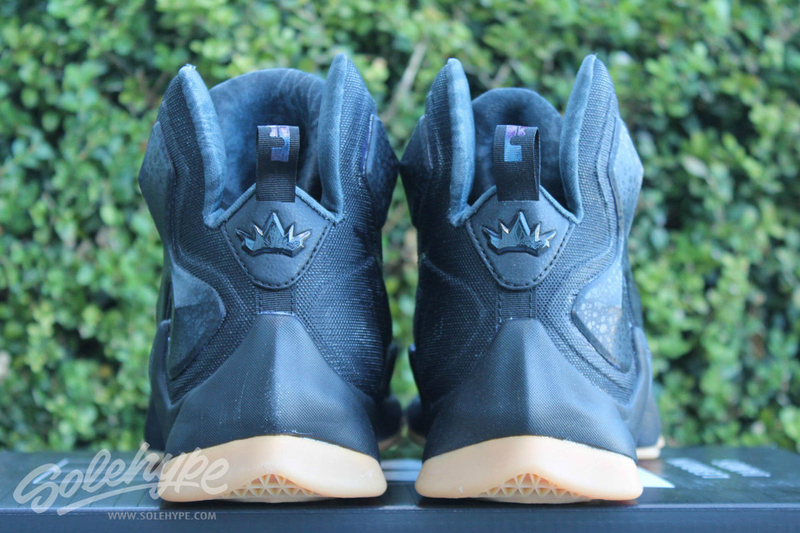 Crown logos on the heel denote LeBron James as "The King," while a gum rubber outsole helps offset the style. 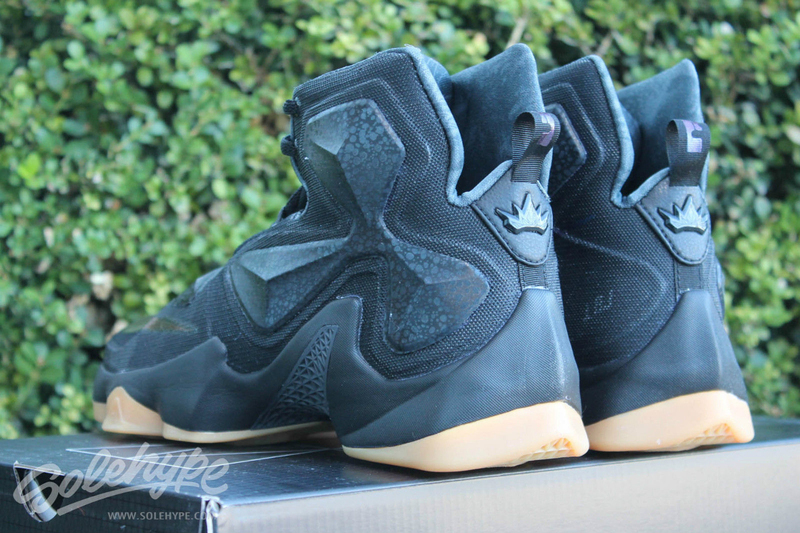 Expect the "Black Lion" LeBron 13 to release on Friday, Jan. 1 for $200. 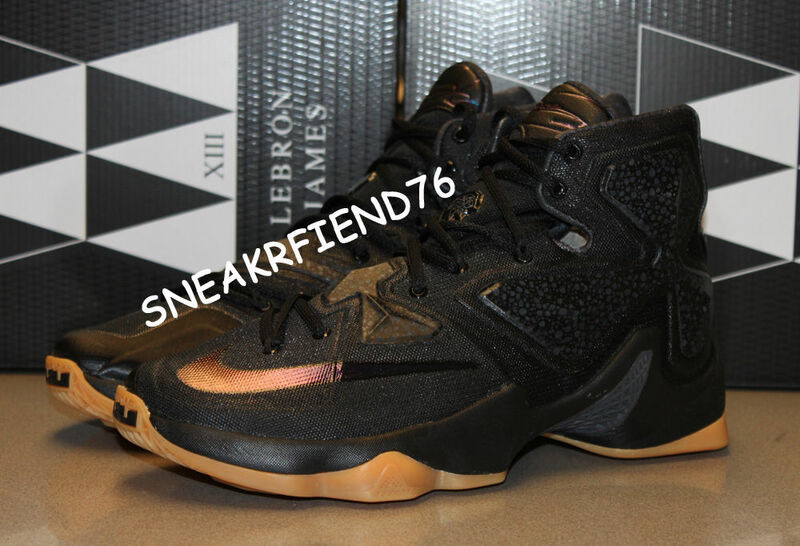 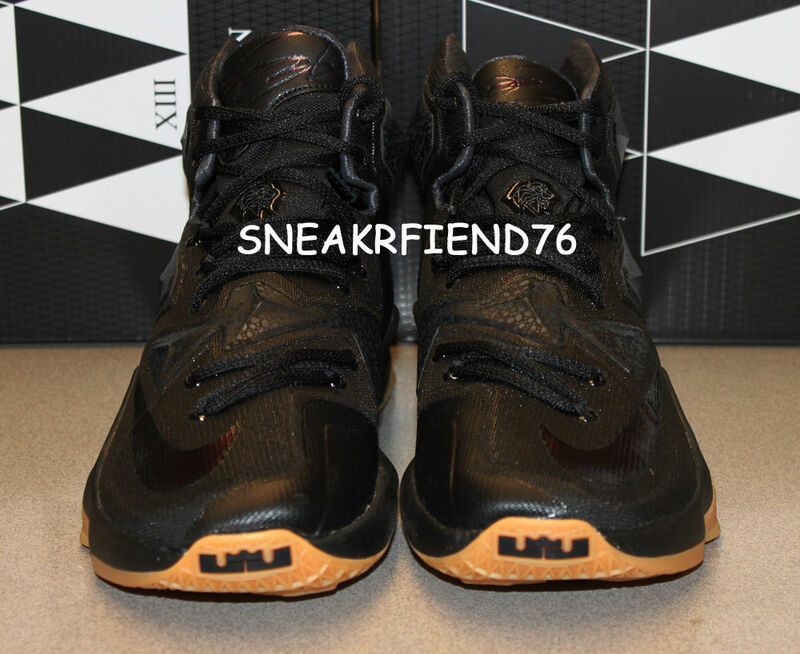 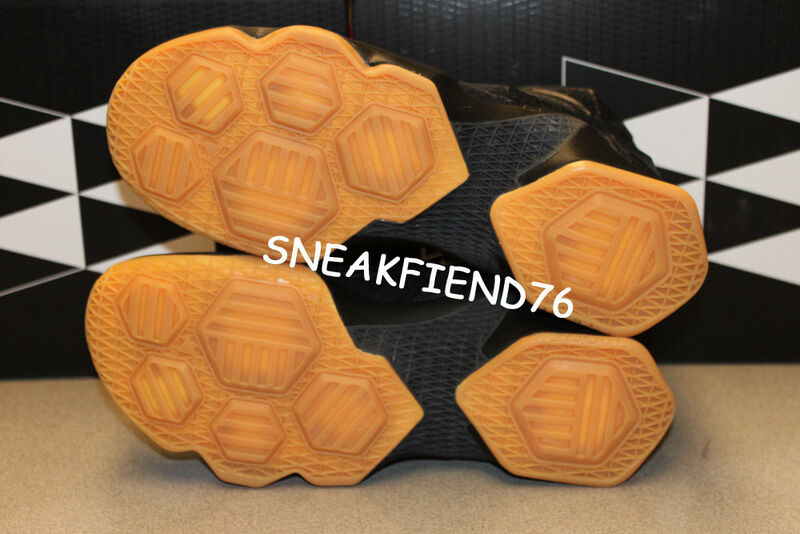 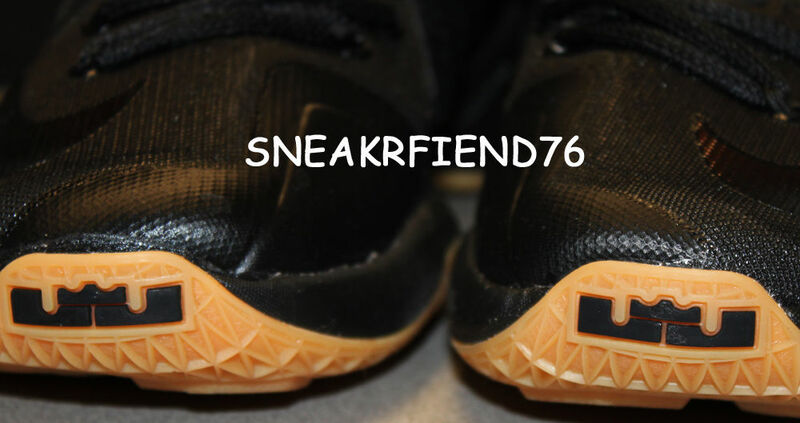 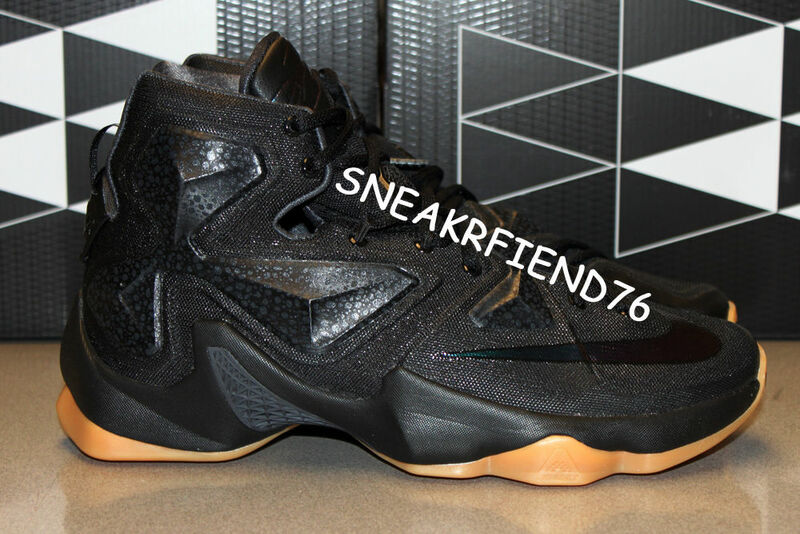 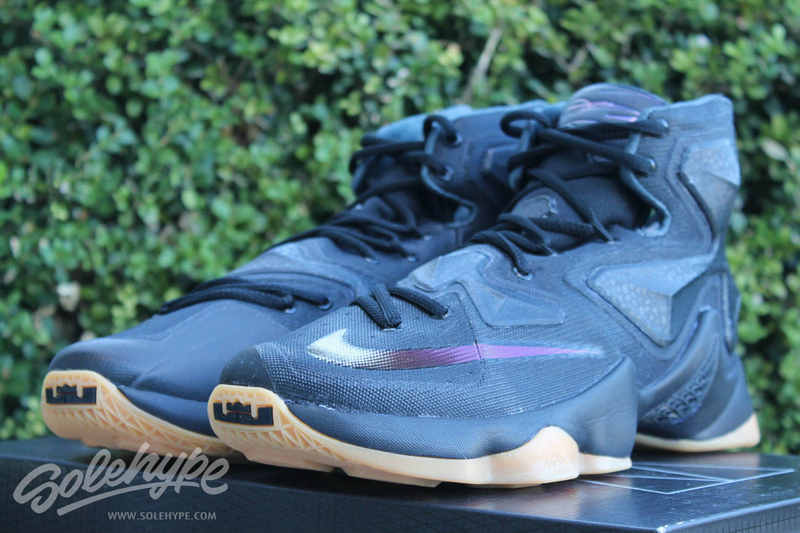 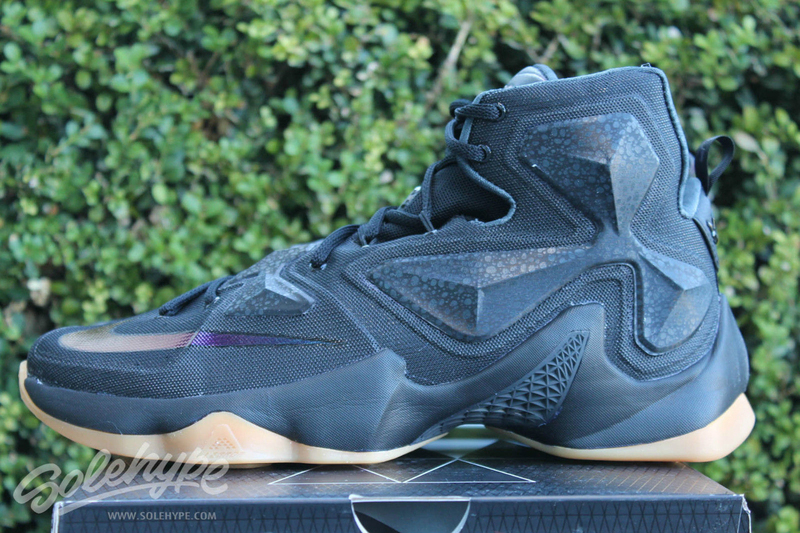 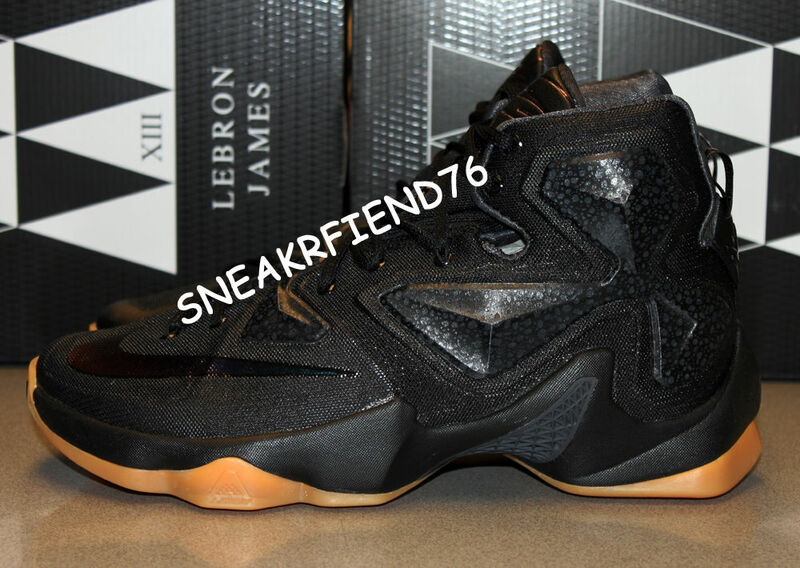 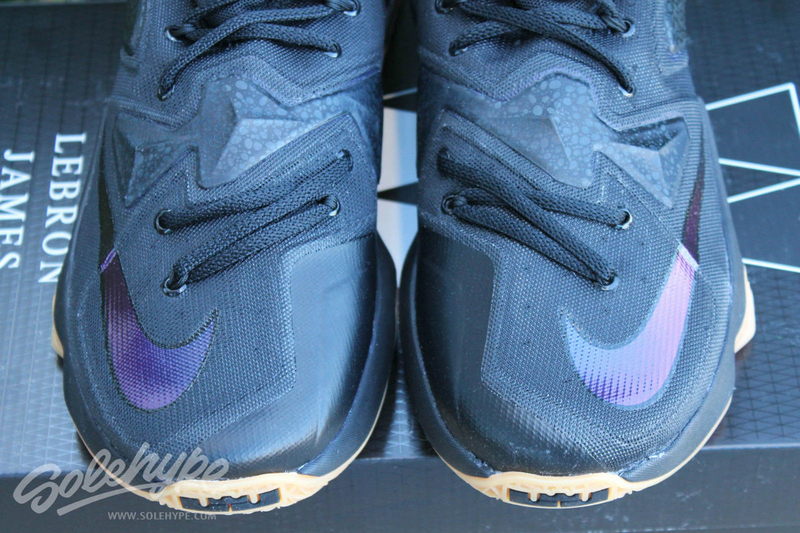 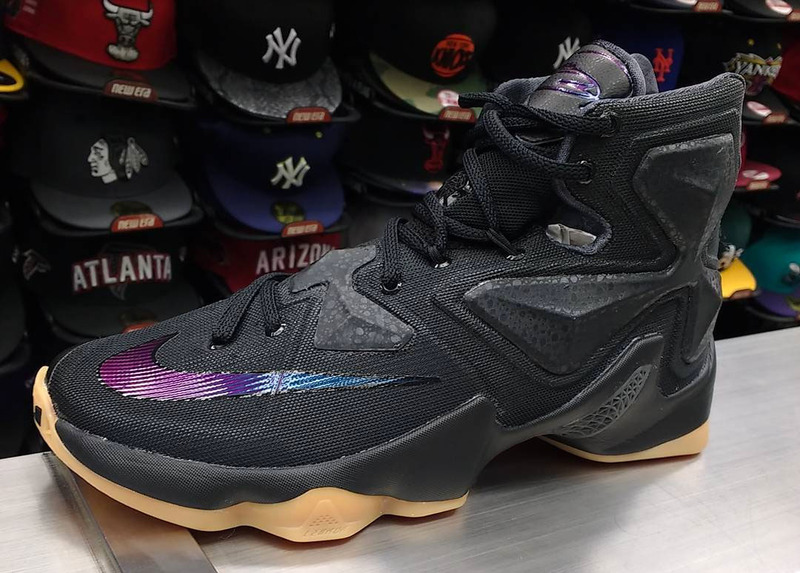 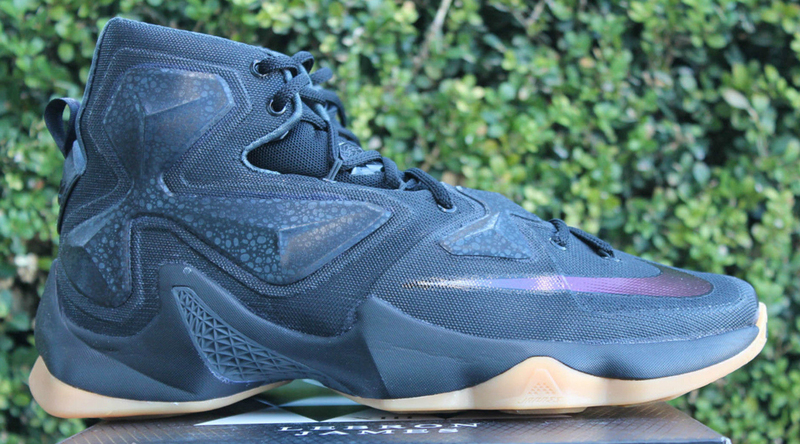 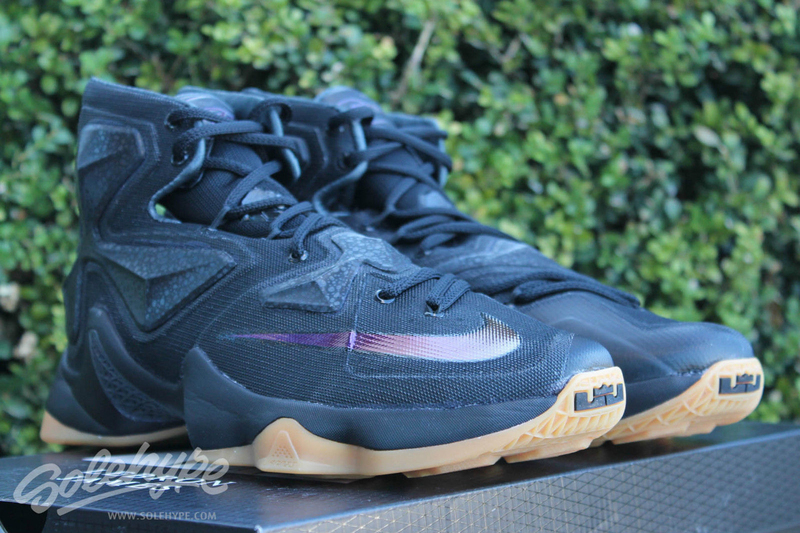 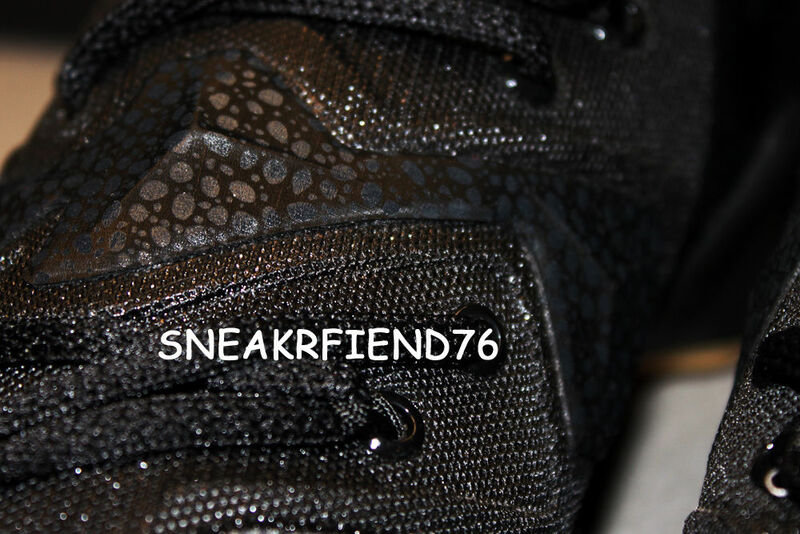 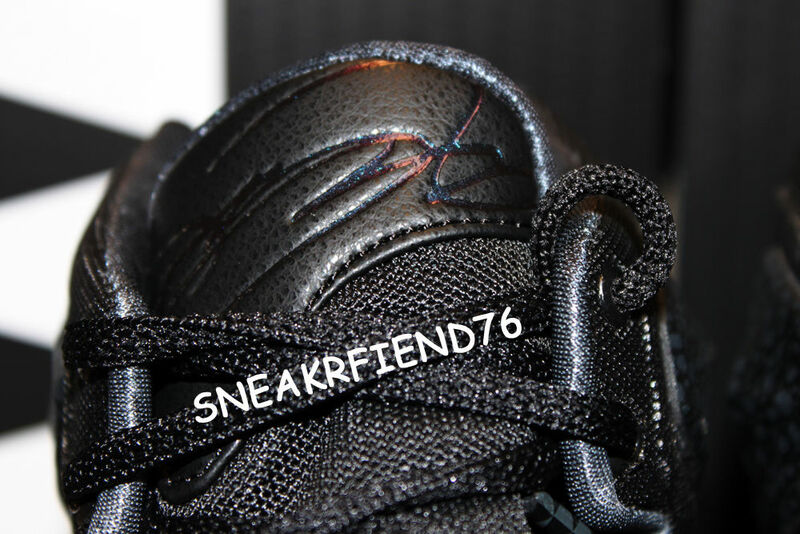 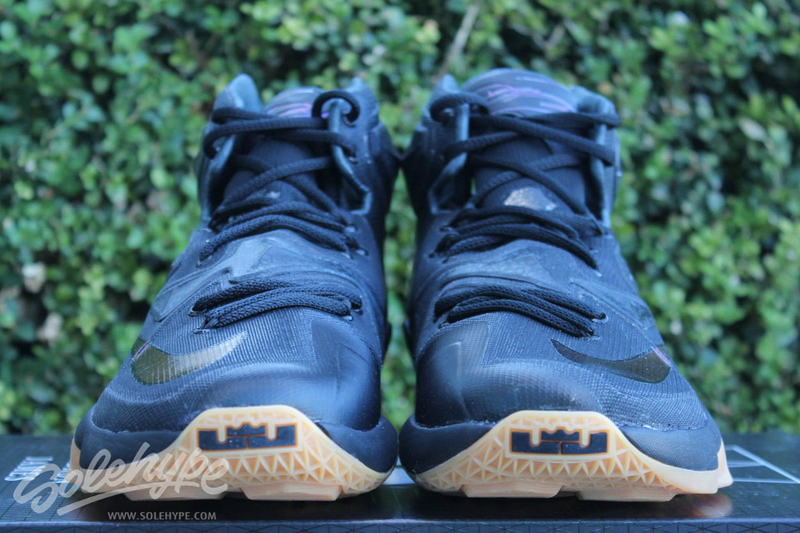 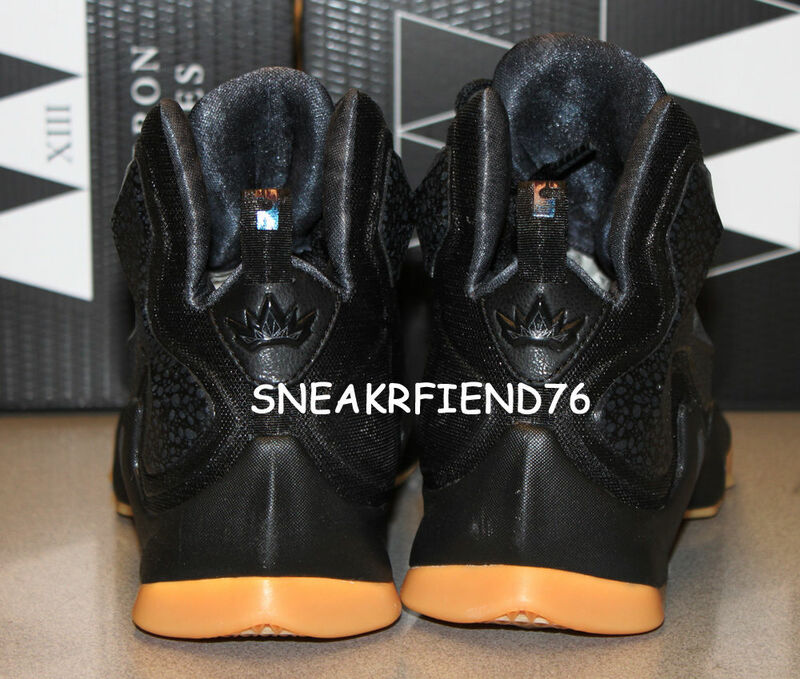 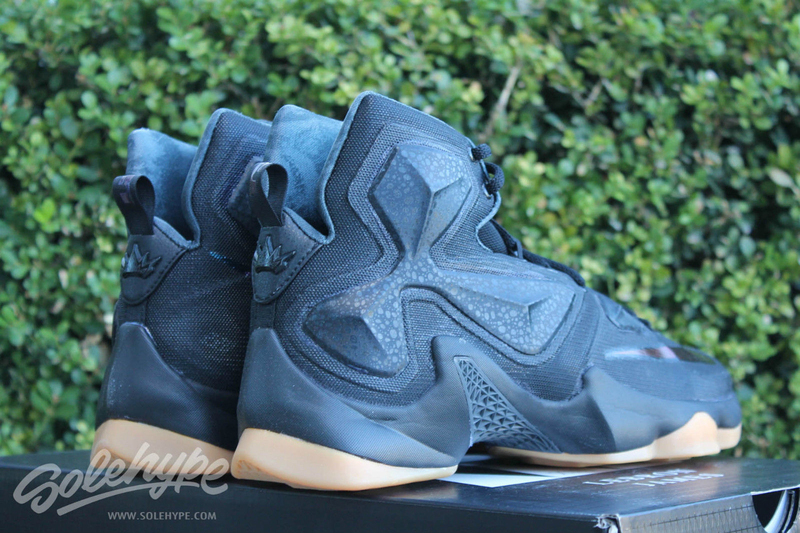 Nike LeBron 13 "Black Lion"
UPDATE 12/18: Detailed images of this black/gum pair of LeBron 13s.